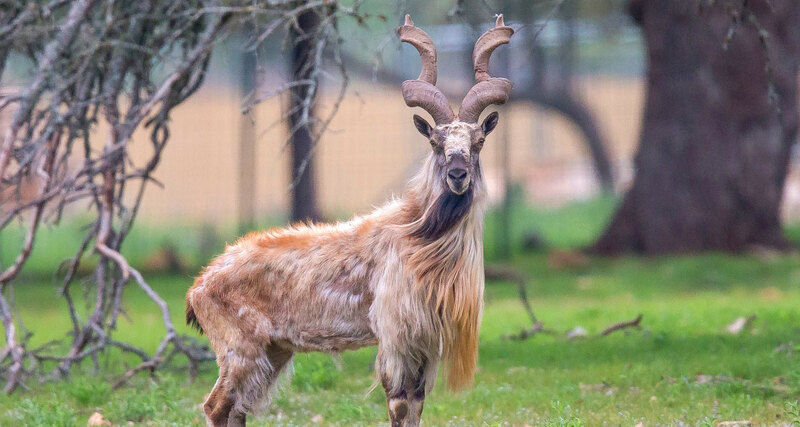 The International Union for the Conservation of Nature and Natural Resources has classified the markhor as an endangered species, meaning it is in danger of facing extinction in the near future if conservation efforts are not maintained. There have been different estimates as to how many markhors exist but a global estimate put the number at less than 2,500 mature individuals. There are reservations in Tajikistan to protect the markhors. In 1973, two reservations were established. The Dashtijum Strict Reserve (also called the Zapovednik in Russian) offers markhor protect across 20,000 ha.The Dashtijum Reserve (called the Zakasnik in Russian) covers 53,000 ha. Though these reserves exist to protect and conserve the markhor population, the regulations are poorly enforced making poaching common as well as habitat destruction. Although markhors still face ongoing threats, recent studies have shown considerable success with regards to the conservation approach. The approach began in the 1900s when a local hunter was convinced by a hunting tourist to stop poaching markhors. The local hunter established a conservancy that inspired two other local organizations called Morkhur and Muhoflz. The two organizations expect that their conversations will not only protect, but allow them to sustainability use the markhor species. This approach has been very effective compared to the protect lands that lack enforcement and security. In India, markhor is fully protected (Schedule I) species under Jammu and Kashmir’s Wildlife (Protection) Act of 1978.